Gill Esler was an integral part of Darling in general and the museum in particular. To preserve her memory and her unwavering contribution to the museum, we have mounted a brass memorial plaque to the bench located in the foyer of the museum. A COMMEMORATIVE PLAQUE FOR GILL ESLER Gill was an integral part of Darling in general and the museum in particular. To preserve her memory and her unwavering contribution to the museum, we have mounted a brass memorial plaque to the bench located in the foyer of the museum. The museum committee is seeking additional members, either as fully fledged members, or as co-opted members. The Committee’s principal function is to ensure the smooth running of the museum and to arrange fund raising events to bolster revenue. Meetings are held once a month and fund raising events are on an ad hoc basis. 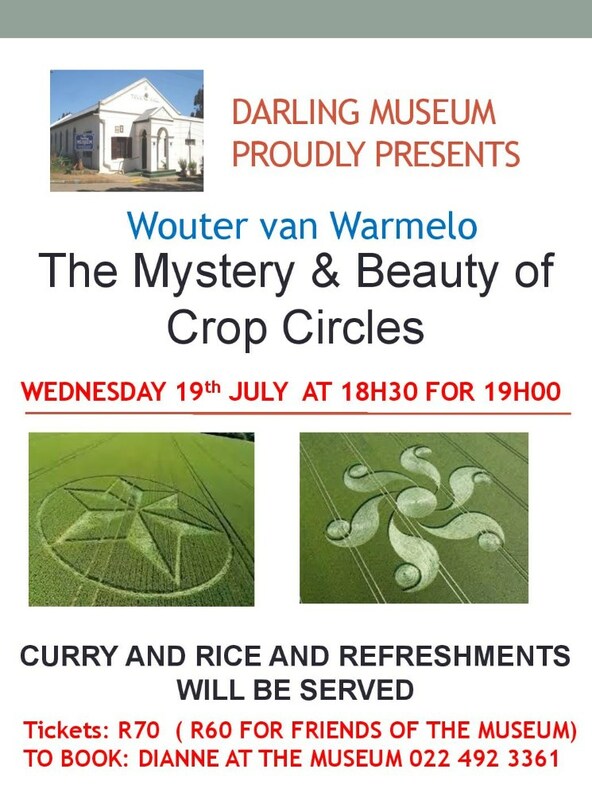 If you are interested or you know of someone who would be interested, please contact Dianne at the museum on 022 492 3361. 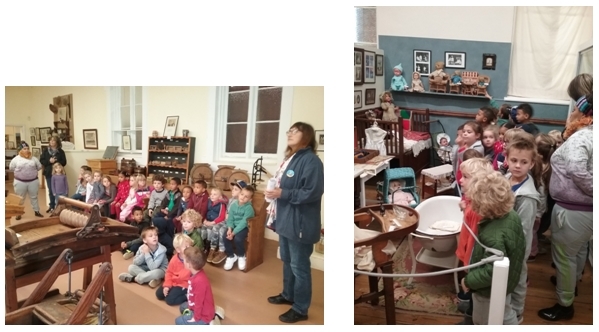 A very well-behaved group from Darling Pre Primary paid a visit to the museum in June, accompanied by 2 of their teachers. They were extremely receptive to Dianne’s commentary about life in Darling in earlier times and their favourite rooms were the childrens’ room and school room. We would be delighted if other Darling learners visited the museum and encourage teachers to contact Dianne to arrange a tour. 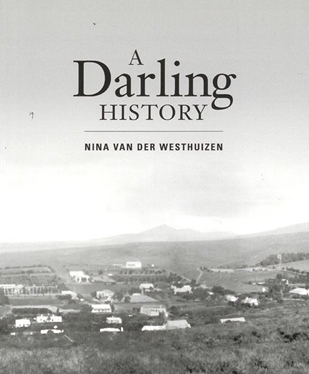 The Museum shop is one of the local outlets where you are able to buy a copy of Nina van der Westhuizen’s wonderful book detailing the history of Darling. It discusses Darling’s early history subsequent to the arrival of the Dutch, and its development thereafter. It is filled with fascinating photographs and should be part of all Darling homes.